OPENING NIGHT - MAY 9th! This is the best art event you'll ever attend! More than 800 artists on view day and night for five weeks of collaborative creative expression. 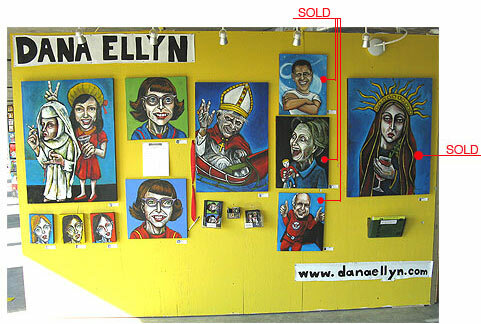 Dana Ellyn will be exhibiting on the 8th floor, in the "SW" section, wall A5.